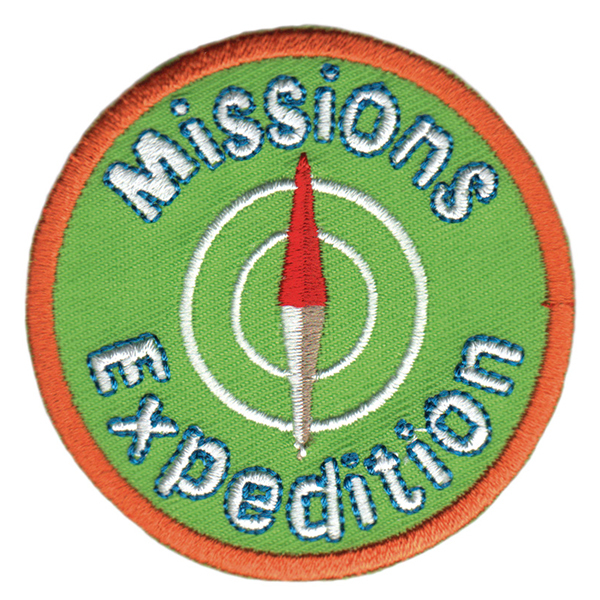 Missions Expedition is an individual achievement plan for boys and girls. It helps children deepen their understanding of missions. Missions Expedition can be used as a part of Children in Action. Or it can supplement any children's group or homeschool class. Either once a month or quarter, Children in Action groups are encouraged to work on a Missions Expedition. This optional plan is designed for use once every month. Missions Expedition helps leaders customize projects that help children grow spiritually and mature in their understanding of missions. Leaders may give badges to children at the end of the year for completing a specific assignment(s). A vest is available from Lifeway.com to display badges. A vest pattern is also available as a free download. 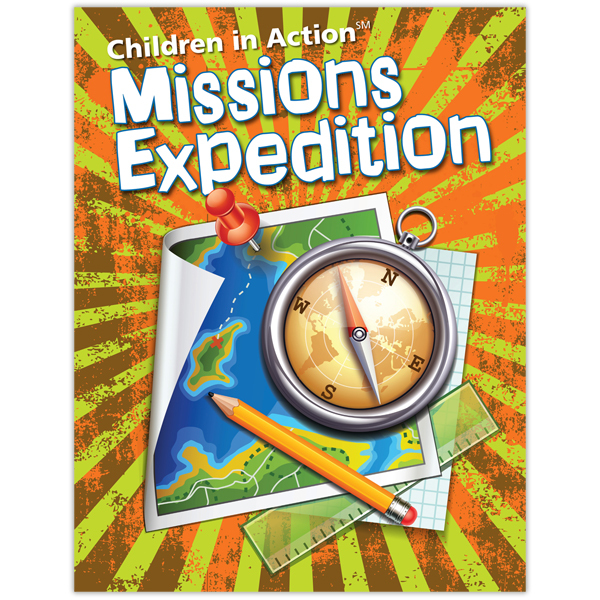 Download a free sample of Missions Expedition. A recognition badge to give to children as they begin participation in the new Children in Action Achievement Plan (Missions Expedition).